Apple to hire 500 extra workers for mysterious AZ command center. 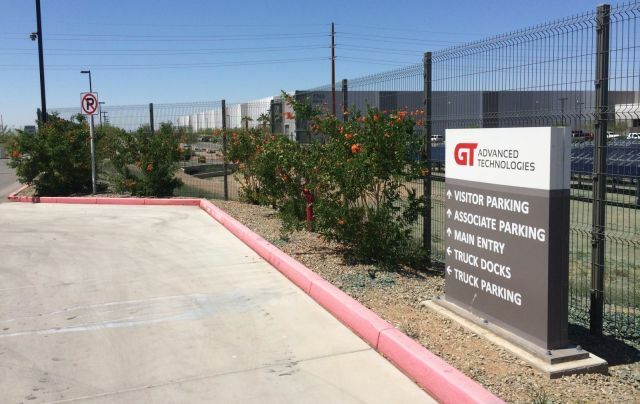 Apple’s first efforts to do major business in Arizona crashed and burned with the spectacular failure of GT Advanced Technologies’ sapphire plant, but the company’s second effort is going much better than expected. More than 500 jobs are being added to Apple’s command center in Mesa that will require a small contingent of top Apple executives from Silicon Valley to move to Arizona to oversee operations, while other positions will be filled by local hires. Apple CFO Luca Maestri and Mesa Mayor John Giles met last week in Cupertino to discuss plans for the 1.2 million-square-foot Apple Mesa data center that’s expected to be in use for the next 30 years. The iPhone maker gave Arizona a commitment to spend $2.2 billion over 10 years after it terminated its deal with GTAT, where 700 people were expected to be employed. The company says its Arizona workforce could grow well past the additional 300 to 500 jobs it plans to add. Former Arizona Gov. Jan Brewer bent nearly every rule in the book to land Apple by promising millions of dollars in tax credits. Many valley residents feared the failed sapphire plant meant Apple and its jobs would leave the area, but the company’s long-term commitment could potentially transform the Valley of the Sun into a Silicon Desert once fully operational. Despite holding 1.2 million square feet of work space, Apple is only expected to use half of the square footage for the command center. “Apple didn’t disclose their plans for the remaining portion of the command center, but they are looking at its use,” said Giles. This entry was posted in Apple news and tagged command center, Mesa. Bookmark the permalink. Wallpapers of the Week: Nature wallpapers for iPhone and iPad. PCalc brings its calculator app to Apple Watch w/ Glance & Send to iPhone feature.